Normally I laugh at my own superstitious belief that 13 is a unlucky number. I speak from experience. Once in Chennai I stood in sweltering heat in a long queue. Tony Richardson’s Tom Jones,- and I was so keen to see it that I was in my place five hours before the show. While cooling my heels I could relive the scenes from the book and in delicious anticipation waited for the ticket counter to open. I was the 13,- and Unlucky Me! The counter shut right in my face. I had the consolations the fellows from 14 till 112 were all unlucky. Why single out the number 13? Around any kind of water – garden ponds, lakes, rivers and even on estuaries. Sometimes, grey herons circle high up into the sky and can be mistaken for large birds of prey. 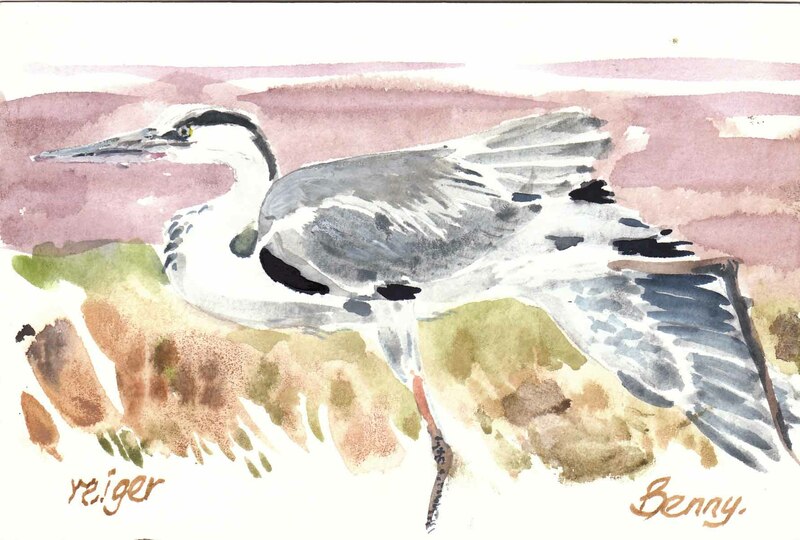 At any time of year – our grey herons do not migrate. Lots of fish, but also small birds such as ducklings, small mammals like voles, and amphibians. After harvesting, grey herons can sometimes be seen in fields, looking for rodents.